Is this the beginning of the end? The end of the beginning? 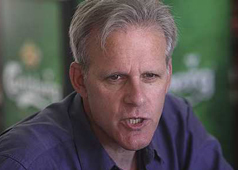 The “pro-Israel, pro-Peace” lobby in the United States, J-Street, had invited Michael Oren, Israel’s Ambassador, to their inaugural conference. He has declined. The official representative of the State of Israel has refused to participate in a pro-Israel, Jewish conference, preferring to send an observer. The President of the United States would seem to be more comfortable with J-Street than is the State of Israel it insists it supports. However paradoxical this may sound, it may not be all that surprising. After all, J-Street would seem to be far more in line with Barack Obama’s policies for Israel, than with Benjamin Netanyahu’s policies for Israel. No wonder Obama is happier to be seen with J-Street than is Netanyahu’s representative. The real surprise is that Israel and US Jews are now finally beginning to address a question at the heart of the Israel-Diaspora conundrum: What does it mean for a Jew to support Israel? Does “support” mean rounding up US support for the decisions of Israel’s democratically-elected government? Or does “support” mean galvanising US support for persuading Israel to take a route that Jews believe in Israel’s best interest? Whose Israel is it anyway?